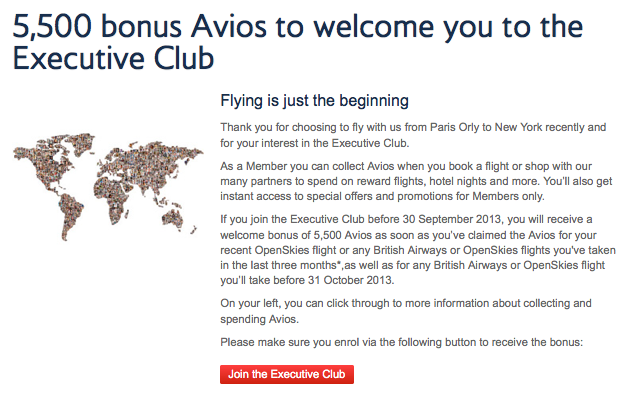 British Airways is offering new members to its Executive Club frequent flyer program 5,500 Avios for joining by the end of today, September 30, 2013, and crediting either a recent British Airways or Open Skies flight or one taken by October 31, 2013, to their new account. You can register for the bonus and enroll here. 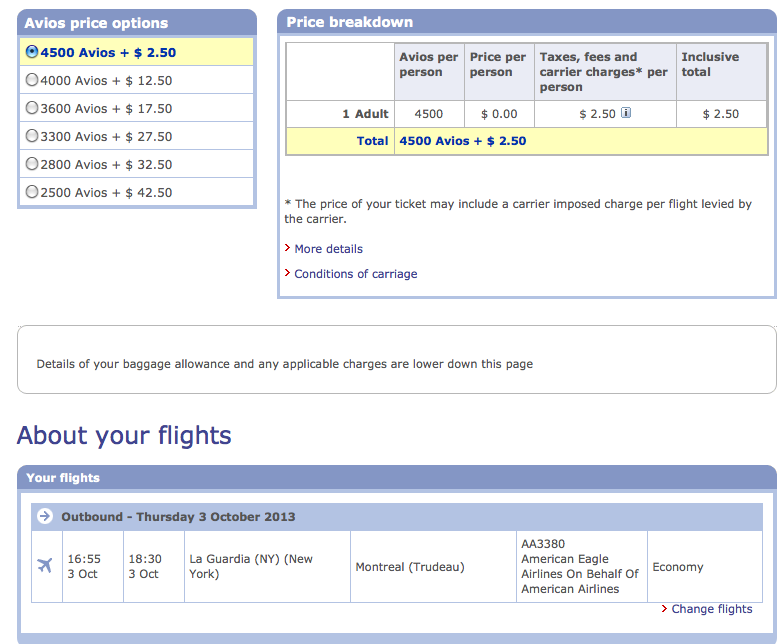 So that 5,500 Avios bonus could hold some real value depending on how you redeem them. Hat tip: Frugal Travel Guy.